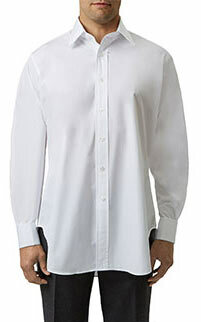 An ivory shirt is softer against your skin tone and will also soften yoru outfit, whilst still looking elegant. Our twill edition will prove invaluable to your wardrobe. This one features our semi-spread Bank collar and double cuffs, making it a perfect work horse for days at the office. The tight twill weave has good structure, meaning that it will wear well throughout the day, and a very subtle lustre that provides a little elegance. 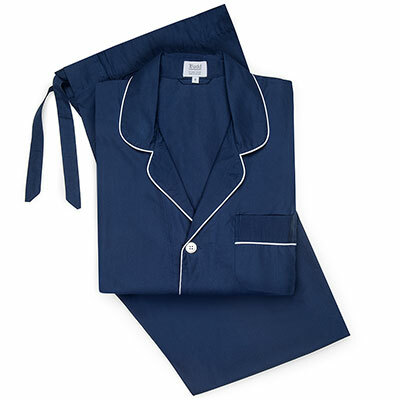 The 2py 100 thread count ensures that it feels light and soft against your skin. 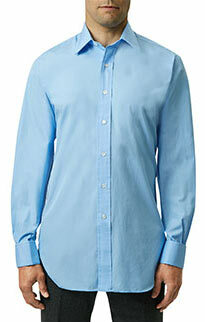 Budd has recently revised the cut of its tailored fit shirts. Cut for a trim, yet athletic build, they measure the same at the chest and hip, but feature a slightly tapered waist. They include all the charming, English characteristics of a Budd shirt, such as the floating, lined collar, hand hand-pinch lifted placket (40mm) and hand folded gautlet, but are cut a little shorter so as they may be worn either tucked in or out, for a more dressed down look. 2019 sees us add 15 3/4", 17 3/4" and 18" collar sizes to our collection. Tailored fit. Semi-spread Bank collar. 100% cotton twill. Sustainable mother of pearl buttons. Double cuff. 2 ply 100 cotton. Made in India.